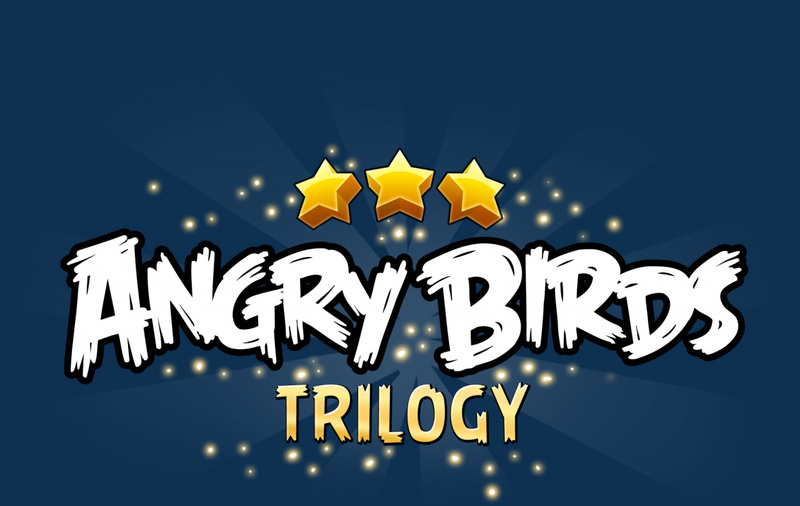 The recently announced Angry Birds Trilogy will retail at $29.99 in the U.S., Activision has announced. The compilation of digital releases Angry Birds, Angry Birds Rio and Angry Birds Seasons will have exclusive 3DS features like StreetPass and stereoscopic 3D. It'll also have extra content over and above its iOS origins, but Activision and Rovio are both keeping quiet on what this content might entail. The press release says "the Nintendo 3DS game is the first truly new Angry Birds handheld experience," but doesn't say why. What do you make of its $29.99 price tag? How the hell is it a trilogy. Sure, three games with no connecting storyline could be called a trilogy at a push, but there's four games. You can't just release three games out of four and call it a trilogy. Considering the HD versions are $6AU, I think the price is reasonable. 3D and new content. Considering picking this one up. Lol awesome. I'd like to track whoever buys this crap. I have a bridge in Brooklyn to offer them. The console version is 40 dollars so I guess this is practically a steal on second thought. Forget the bridge in Brooklyn. I have some blue sky to offer. Why do you care who buys it? I haven't played an angry birds game (gasp) but I would hzve preferred an eShop release for $10 for just one AB game. Should be $3 at the most. Well, if it's going to be cheaper than other games I may eat my words and get it... But that means at least around $45 here and possibly even more considering it's being published by Activision... Descision may have been a little easier if it was getting a digital release as well like NSMB2 because having it playable any time definetly would have sold me. Hopefully Space comes as DLC too. It should definitely be offered in eshop or at least as a retail download. Never played a huge amount of Angry Birds though, and yet what I have played it turns out to be a fun little timewaster, $30 is a price tag that many along with myself will baulk at. Ridiculous. I expect they're so quiet about the extra content because it's not enough to justify that inflated price. Frankly, these games are 0,99 cents in the App Store for a reason. They are casual timewasters, there's nothing in these games that would justify this price tag. I don't hate Angry Birds like so many gamers do, I even enjoy it, but this is a joke. Even if I didn't already get some of them for free (thanks Amazon) and had to pay for them all on Android, it'd only cost me $4 and that's counting Angry Birds: Space! Even if I were to spring for all four of the Android HD versions that'd still only cost me $12 total. For $30 and for only the first 3 games, they should really say what extra content it includes to justify a 10x increase in cost over existing iOS and Android versions. They are forgetting what angry birds really is and what made it great. A simple, cheap easy to fire up and play game for your mobile device. Making it digital and no more than $15 seems a better value to me. This seems to be a cash grab, trying to maximize angry birds revenue before the property loses its turn in the limelight. Hmmm, Nice To See More News For The New Angry Birds 3DS Has Been Released, But NOW IT'S A RETAIL TITLE! !, For $30 Dollars! !, At Least It's Cheap Enough For Me To Buy It, I Always Support Angry Birds, So I'm Glad There's More News Announced!! Pffff, hahahaha. Hell no. I can get Devil May Cry HD collection or Zone of the Enders HD collection, two sets full of lengthy REAL games, for just $10 more. I pity those tricked into purchasing this. Are they somehow above putting these titles as downloads on the eShop or something? Just, sell the individual titles as downloads. Sell the retail as download even. I'm sorry, but are they OUT OF THEIR FREAKING MINDS???!?!? This kind of garbage is why third-party developers don't like to support Nintendo; they come out with these big-name licenses / IPs that are overpriced and don't sell well, so they blame the user base and withhold future releases. I've played Angry Birds before from time to time, and thought it was rather fun. And I do think it would be nice to be able to play it on my 3DS. But $30!? There are many simple eshop games with way more content for less then half that price! Ironucally The free Chrome version of the game is actually the best version of the game because of the use if the mouse. While stylus is better than the imorecise capacitive touch obviously its still too much. If anything this should have been in the Wii for 500 points from the beginning and used the pointer. They better have a lot of extras! I'm so not buying this. Retail release means that this will eventually hit the bargain bins so that is when I will likely pick this up. That is IF I decide to pick it up. Beat me to it by three minutes!!! It's going to sell plenty of copies, but it doesn't deserve to. I'll do my part by not buying it and talking anyone I meet out of buying it too. The devs are making a reasonable amount of money from their toys and radio angry bird merchandise I think they're risking the 3DS for that reason. Woulf it work as a retail cart purchase? I remember selling a lot of my older DS games quickly because they felt downloady - even though I enjoyed them. Angry Birds should have made an exclusive deal with that new console called Ouya (or something like that). Could have been a bigger hit. so....10$ per game when theyre... free on iphone ? too bad i dont own an iphone. i guess ill wait until i find one much cheaper used in a bargain bin. i dont doubt ill have lots of fun with it, but it remains a ios game. Its fun when playing on the toilet or while waiting in a line or something. Or to play a bit when waiting for commercials to end when watching a show. Not really a fair comparison to iPhone pricing: an iPhone costs, what, twice as much as a 3DS? @James and these games cost 10 times as much. So when a series of meaningless distractions that pretend to be full fledged games come out on a phone that essentially everyone will eventually own it's less than $10, but when they come out on a real gaming console, they're $30? And that's not even all of them? Isn't a game like this ment to be with you at all times?! I would've bought this on the eshop at around 10$ but no way would I purchase this at retail for 30$. The over estimate how good their franchise is! 3d or not the other features better be able to print money and give you back a twenty at launch! @C-Olimar Overall numerical difference strongly in favour of this retail release, though. When I buy my games I like to get a lot of value for my money. This is why I'm buying this game. Wait, what?? I thought this was an eShop game! I'm not paying 30 bucks for a cartridge of Angry Birds. @James Yeah, I can see what you're getting at. I suppose I'll pick this up one day. It looks fun. However, I will either wait until it hits the bargain bin or they make it a digital download. Consider me one of the moaners, I got the games free when i first got my phone, I know millions love it, but it doesn't do enough to make me want to play through the whole thing, letalone three of them. 30 dollars? Not surprised at all, kids will still buy it. Also why do so many people care about Angry Birds? Why can't we get actual great ios games like Storm in a Teacup or Jetpack Joyride. @James That, and you'd need a plan. If you didn't have another compatible device such as an iPod Touch (the newest of which is more expensive than any 3DS) or a Kindle Fire (the same price as the 3DS XL), then I can see how Angry Birds Trilogy might be your best option, but I still feel that Rovio is taking advantage of those people by not providing them as $2 downloads on the eShop. I really don't care how much this will cost, i will just get it for Christmas. I know 30 bucks seems outrageous, but it's got 3D, NEW CONTENT, the addictive gameplay that everyone knows. Also, they didn't include AB: Space because this has been in development since beginning to middle of LAST YEAR and Space came out in like December. I don't have the patience required to play the game as is, the idea of more content makes me shiver. I guess that If it came packed with some of the merch they announce so much on the version I got yesterday, it would be a nice buy. This is such a rip-off considering how cheap it is elsewhere. Its even more of a rip-off than Skylanders! Better be above and beyond to justify such a price compared to the $3 for the three games separately. I will pick it up when it goes to the bargain bins. @James of course I would moan! I'm English! I honestly don't like Angry Birds though, so I wouldn't even buy it at 69p anyway. I would've considered a purchase if it was $10 or less and on the eShop as opposed to a physical copy at $30 ( a huge mistake). Plus, I always carry MK7 in the cartridge slot so there's no way I would remove that game to play something that I can easily access through my smartphone. Such a rip-off when you can get all 3 games on the iPhone for a few pounds. In my opinion this should have been on the eShop and it should have cost maybe £5. What the flying crap? This is 10 times the price of buying all 3 iPhone games, or infinite the price of buying all Android games. If my prediction is right (this'll sell better then Crush and Bit Trip combined) I will cry for humanity's take on pricing. Will probably be able to get it for 20 quid which i wouldnt mind paying. "Should be $3 at the most"
I agree! On fake-book those games seem to be free!! 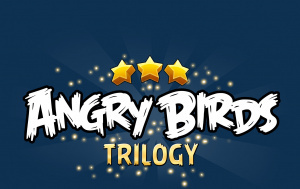 On a side-note: How long does Rovio think they can ride on the Angry birds wave? One day people get bored and they really have to come up with something else! But on the other hand: They are already soooo filthy rich, that by that time they can close up shop and just lay on the beach with a nice cocktail!! Don't get too angry yet. You don't have to buy it, and it might end up having WAY more content. You never know until it happens. It's going to need a heck of a lot of new content to justify that price. This must be for little kids with Angry Birds plushes but no idevice/cell phone yet and parents who don't understand what the internet is. What I want to know is when we'll see the inevitable Saturday morning cartoon. It's no worse a premise than any other 80's half-hour long animated toy ad. @James 3ds cost exactly the same money as ipod touch where you can play these games for 0,99 cents. I have to wonder if they're changing it to first person mode (like Boomblox style). That's make better use of the 3D, I say. Not really interested in the dirty birds. Good for those who are. What @hole decided to announce this "trilogy" just AFTER the 4th and best game Space comes out, which isn't even included? I won't even get into the pricing issue, how could this not have come out months ago BEFORE the new game released? Time to show the cell phones how games are really played. Hell no! I can get all three games pn my Kindle for 3 bucks.